Choice of single track (provided by artist) video or Artist Profile Spotlight piece featuring music segments and performer commentary for a retrospective of the performer. This package combines the best of on-location shoots with live video performance for a 'larger than life' finished video. Includes everything listed in our Enhanced Video package above but combines your custom video with a 3 minute Artist Profile Spotlight video. It's a powerful combination for website presentation or for marketing agents, record labels or booking parties. Two custom music videos. Plus a 3 minute Artist Profile Spotlight video. Multiple in-studio & on-location sets as well as green screen & professional models and/or theatrical extras as needed for the video treatment. Same as above package with three music videos. Also includes a 3 minute Artist Profile Spotlight video. 50% Deposit required at signing of contract to schedule production time. Remaining balance due upon schedule. 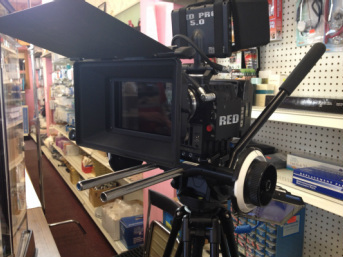 B-Roll, Press Release, Live Switching, Image Magnification, Set & Lighting Coordination, Script Supervision, Hair & Make-up, Crew-Coordination, Local or On-Location, Video or Film.. We use RED, Canon, Go Pro and Panasonic Cameras. We have Zeiss Pime Lenses. All packages include no less than 3 camera angles if needed for multi-angle editing. Our team can work with just about any form of recorded media. Once we have your music, we work with the artist on a level depending on your budget to shoot live performances outside or inside the studio and/or work from a storyboard. Price is always important, but it's worth nothing if the quality is not there. Our innovative and creative staff know how to work with artists to highlight their unique personality in order to showcase it to the world! Sik Pup Films is attracting musicians and performers from major cities all over the country to capitalize on this attention to detail. You will be hard pressed to find this level of quality at prices this low.